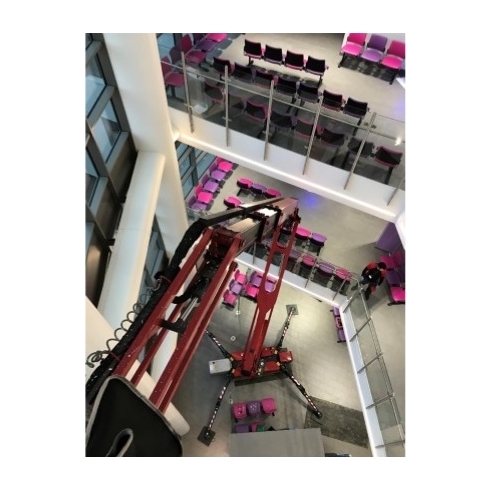 As part of its 30th anniversary celebrations, leading tracked boom manufacturer Hinowa launched a competition to find the best images of its machines in action. Entitled Shoot and Go on a Trip with Hinowa, the competition offered three star prizes of a seven-night stay for four people at Lake Garda in Italy, worth €2,000. 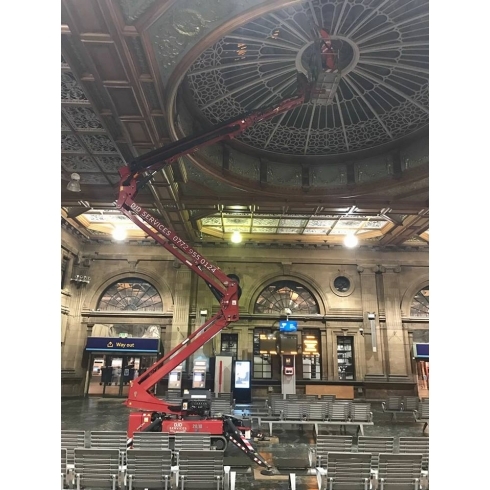 David Douglas of DJD Services was one of the lucky winners, for his photo of a Hinowa platform at work in a railway station waiting room (TOP). 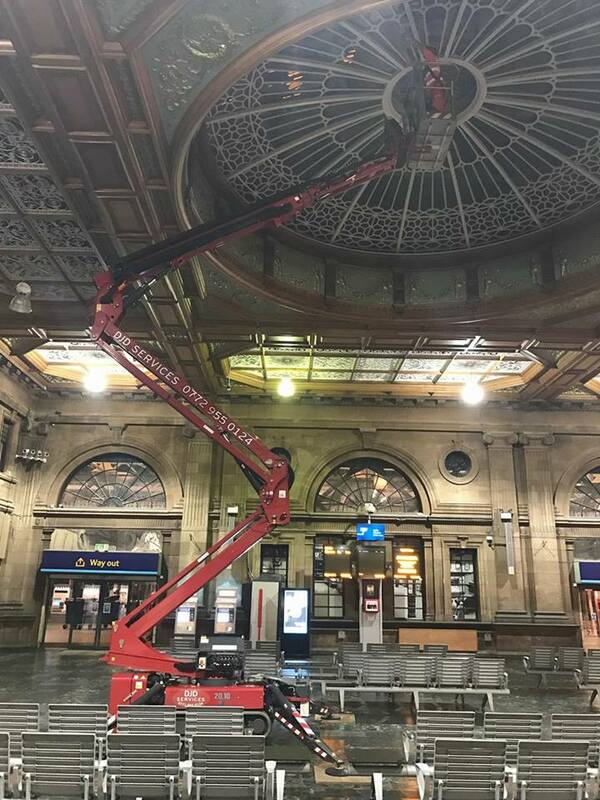 The machine was inspecting the interior of a dome, and had to be able to set up with its outriggers on two different levels of the floor. Based in Johnstone, in Scotland, DJD Services provides plant hire in Johnstone, Glasgow and the surrounding area. Three runners-up also won a two-night stay for four people in the Italian city of Verona, worth €1,000. Hinowa boom lift operator Alex Weston won one of these prizes with a stunning pic taken from the basket of a tracked boom (BOTTOM). 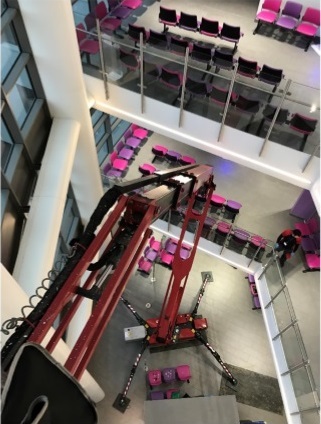 Alex was working in a multi-storey building that required an access platform with low ground pressure, and superb up-and-over reach capabilities to access balconies. APS is the exclusive UK distributor for all Hinowa tracked booms and Hinowa mini-dumpers. We offer a full range of new equipment and an extensive portfolio of pre-owned access platforms, as well as used Hinowa tracked dumpers.